The Capetian dynasty systematically developed multiple modes of what in their period was viewed as 'ideal' rulership - bureaucracy, military, inquests, sacral kingship, crusading, sainthood, what would become known as 'Gothic' architecture, and the repression or expulsion of Jewish and heretical populations. Traditionally historians have portrayed the reign of Louis IX as the apex of a dynasty which declined into Machiavellian political maneuvers and tragic hubris during the reigns of his successors, including Charles of Anjou, but particularly Philip the Fair. Thirteen essays here interrogate these cherished truisms and ask what lasting contributions can be attributed to the Capetians per se, rather than to other cultural forces such as local churches and monasteries, the nascent university at Paris, and noble familial networks. William Courtenay deftly illustrates that from the viewpoint of the masters teaching at the nascent university of Paris, their rights and privileges were largely papal, not royal, in origin. While some scholars were employed in royal administration, Philip Augustus determinedly curbed their ability, as clerics, to circumvent royal justice in cases involving heresy and violence. Financial support came only with Louis IX and Philip III, who perceived the university as a potential source of royal income and prestige. Tutored by university masters, Philip the Fair claimed that he, not the papal curia, was the principal source and protector of scholarly privileges. However, his attempts to make the university of Paris the authoritative 'yes-man' for royal policies were largely frustrated. The influence of clerical opinion on royal circles is demonstrated by Brigitte Bedos-Rezak's study of William of Auvergne - theology master, bishop of Paris, and advisor to Blanche of Castile and Louis IX. The permanence and personal authority of the king were literally embodied in royal charters and diplomas consisting of formulae, wax seals, and parchment and schoolmen often used sealing to represent the mediation and salvation enabled by the incarnation of Christ. However, drawing on contemporary theories of representational government familiar from the university milieu, William argued that sealed royal letters were complied with by subjects only due to a pre-existing, mutually agreed-upon social contract, not the king's unadorned and physically manifested will or power. Because there are no surviving Capetian guides for princes, Cecilia Gaposchkin turns to the illustrated moralized Bibles produced for the Capetian dynasty to trace clerical influence on Louis IX's conception of his kingly functions. 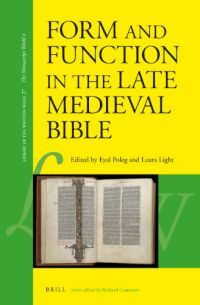 Contrary to some scholars, she argues that the Bibles' unsystematic interpretative program reflects a contemporary political discourse which sought to adapt the ideal of kingship to counter contemporary troubles. This discourse took the form of an often-contradictory dialogue between visual images and accompanying text. 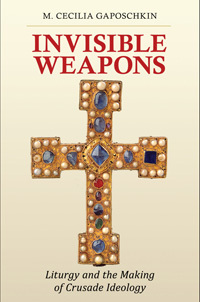 Although the true coherence (or not) of the commentaries of the moralized Bibles will remain unknown until surviving unedited contemporary biblical commentaries are studied systematically, some themes traditionally associated with the reign of Louis IX (and his parents) do emerge, including royal support for church reform and combatting heresy and the infidel. Drawing on recent scholarly interest in identity, space, memory, and materiality, Anne Lester explores the relationship of the monarchs and nobility of France with another influential institution - the Cistercian order. Louis IX's patronage of the mendicant orders has traditionally elided Capetian devotion to the Cistercians (and Victorines) which manifested itself in the establishment of new houses, gifts of objects and relics, and solicitation of the orders' corporate prayers. The Capetians followed other northern French aristocratic families in favoring the patronage of Cistercian houses as centers of prayer and commemoration, institutionalized remembrance, and family identity. The Capetian dynasty similarly emulated the practices of noble familial networks in its pursuit of crusading. Jochen Burgtorf uses the Montaigu family (whose members included heads of the Templar and Hospitaller orders and the archbishop of Nicosia) to powerfully illuminate the ways in which family interests could overlap with dedication to the church and crusading. Paul Crawford argues that, far from being an 'upstart without prospects', Renaud of Châtillon also upheld a crusading tradition long established among the great families of Burgundy. 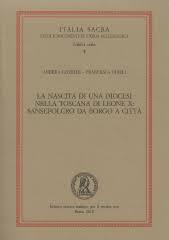 Both authors stress the Latin East's dependence on western newcomers whose family networks and resources proved essential; this interconnected noble society often spanned multiple regions, negating traditional divisions of the Mediterranean world into 'crusader settlements', 'Byzantium', and 'Latin Christendom'. Yet how could such devotion to the Holy Land permit the destruction of the Templar order ostensibly vowed to its protection? By examining the fates of surviving Templars, Helen Nicholson contributes to the ongoing and heated debate over the underlying motivations, both royal and papal, for the investigation and dismantlement of the Templar order. The destiny of individual Templars depended on their status within the order, local authorities' attitude towards the trial (and the order), and the effectiveness of local rule. In France, many were imprisoned for (a short) life or burned as relapsed heretics. In Germany and Italy, papal demands often remained unenforced by weak local authorities, while in England, provincial church councils enforced papal instructions, sometimes sequestering individual Templars in non-Templar monastic houses. Much of this volume explores the many ways in which the Capetian monarchy consolidated its power, particularly during the reign of Philip the Fair. 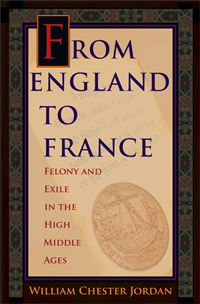 Sean Field notes that while Louis IX's reign saw the origin of both the office of royal confessor and papal inquisitor, it was only through the appointment of William of Paris to both roles simultaneously that Philip could transfer the source of the inquisitions' authority in France from the papal to the royal court, enabling royal trails of the Templars and relapsed Jews and 'heretics'. Every king needs an army, yet while the Capetians could routinely rely on their direct vassals, kings faced stiff resistance when calling up levies from cities or extending compulsory service from the traditional forty days in a defensive war within France to foreign wars of unlimited duration. As Xavier Hélary demonstrates, the motives of those serving varied: desire for glory, financial reward and royal favor; the spiritual advantages of crusading; the threat of penalties levied by royal administrators. In contrast, Hagar Barak employs the managerial revolution model to argue that the formation of the Capetian state hinged on a turn away from hereditary baronial officeholders to 'new men' with professional training. Later Capetian government relied on professional administration and legal procedure rather than personal relationships, status, and military prowess. Twentieth century ambivalence toward the Capetian machinery of power is manifest in two essays by Élisabeth Lalou and Elizabeth Brown. The advent of Fascism and the horrors of World War II profoundly influenced French historians' portrayal of the Capetians. After two years in a concentration camp, Robert Fawtier would depict Philip the Fair as molded by an 'era of brutality' and 'legal formalism' pressed into the service of the royal cause, in which Philip 'believed just as he believed in his religion' (270). Many historians felt compelled to denounce the tactics which Philip and his ministers, particularly Guillaume de Nogaret, employed against their adversaries: swift arrest, torture, propaganda, and auto-da-fés. However, Elizabeth Brown follows Fawtier in characterizing both Philip and Guillaume as motivated by the affront which Boniface VIII and the Templars posed to their ardent faith in the Capetian dynasty. For Brown and Julien Théry-Astruc, Guillaume was a 'master rhetorician and propagandist' who convinced himself, as well as Philip the Fair, that the French monarchy was a 'virtual theocracy' duty-bound to challenge the papal monarchy's claims to universal jurisdiction. It was this belief which precipitated an abrupt shift from an era of church-state cooperation under Louis IX and Charles of Anjou to a royal assault on ecclesiastical rights and powers, both in France and in England, ultimately resulting in a French royal absolutism which would endure for centuries. 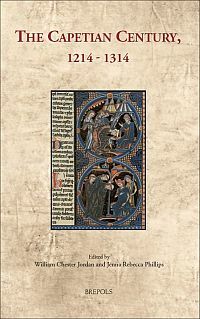 Intended largely for scholarly audiences, this volume questions many of the platitudes replicated in historical survey courses regarding the development of the French monarchy in the medieval period. Yes, the monarchs of France were convinced that theirs was a sacral kingship, yet that sacral kingship could range from the devout cooperation with the mendicant and Cistercian orders displayed by Louis IX to Philip the Fair's determined dismantling of the Templar order and assault on Boniface VIII. Clearly, kings were also influenced by models of rulership presented to them and felt the need to justify their ways to men. Kings also depended on noble and baronial networks not only for military assistance but for patterns of devotion and the success of the crusade. Moreover, the university of Paris found itself caught between papal and royal patronage while furnishing many of the trained individuals who would populate the Capetian machinery of government responsible for creating a strong central rule in France. In fact, some of the greatest strengths of this volume lie in the ways in which its contributors question long-entrenched lines of division and classification, provide broader contexts for the development and expression of royal power in France, and suggest new avenues for research.